Over the weekend, I was brainstorming what I could do that would touch upon Thanksgiving, without actually doing some ridiculous Thanksgiving lesson plan. I decided to teach the sixth graders about James Audubon and about the careers of scientific and/or medical illustrators. I then led them in a step by step drawing exercise of a cartoon turkey. The results are very fabulous. I will post the results soon. The image above has nothing to do with the lesson itself, but I found it funny. 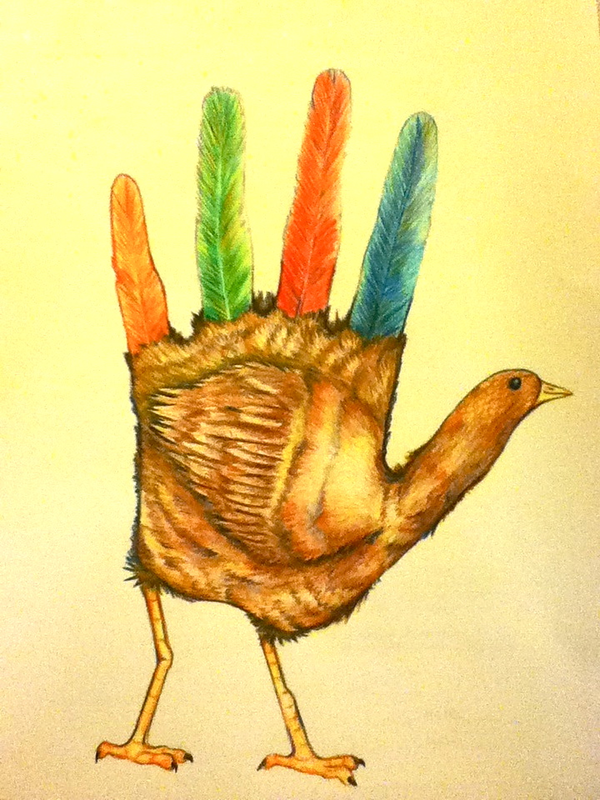 Hey I'm the one that drew that turkey! Out of curiosity, how did you find it? Glad you found it funny, it was fun to make. Also a crazy random happenstance that I happen to be pursuing a degree in scientific illustration. Wish you were my teacher, I had never heard of it until my senior year of high school (and quickly fell in love with it as a career).